If you are looking for the ideal birthday gift, then look no farther! A Phoenix AZ Birthday balloon ride makes a memorable gift. As a customer you have two choices. You can schedule the birthday balloon ride on their birthday or you can order our gift certificate for the day of their birthday. Arizona hot air balloons is the premiere birthday balloon ride provider in Arizona. Our staff is eager to speak with you about your needs for this amazing day planned with that special person. 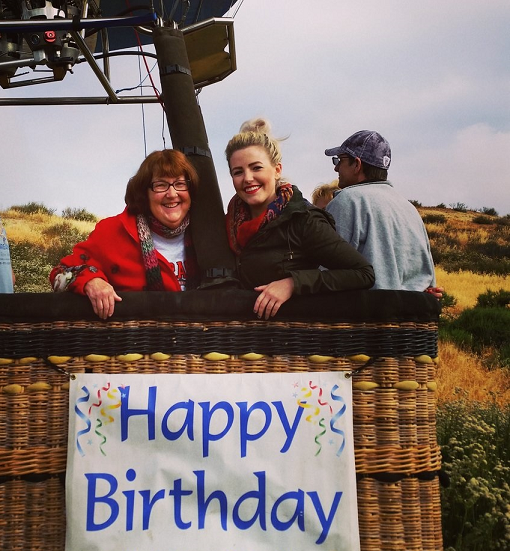 A birthday balloon ride is an amazing way to see the breath taking Arizona desert. The Sonoran Desert is the youngest and wettest in the world. A hot air balloon ride is one of the best ways to see it. Many people think of a hot air balloon ride in AZ as a last minute option. Don’t worry, Arizona Hot Air Balloons has you covered. We fly 360 flights a year in Arizona! What comes with our Birthday Balloon Rides? We want it to be special, So we custom build your hot air balloon ride birthday package to fit your needs. We provide our “Happy Birthday” banner as a complementary gesture. Having your loved one step out of the balloon ride shuttle, they will look up and see that you in fact did not forget their special day. We also have an option during the post flight celebration of presenting a birthday cake (Small fee). We will light a few candles and sing happy birthday. 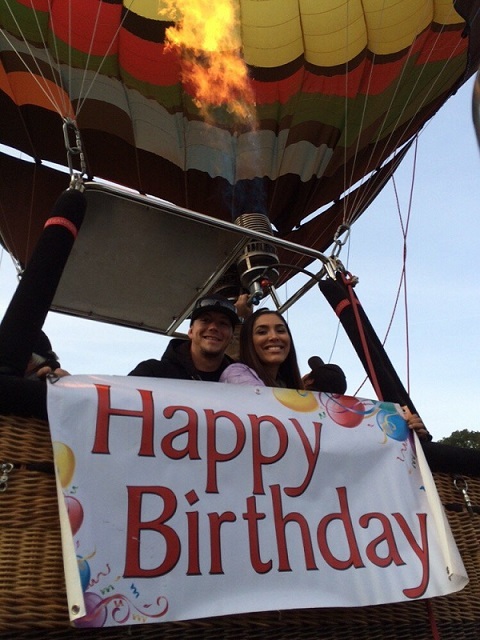 Your loved one will never forget the day, you took them on their birthday for a hot air balloon ride in AZ. Feel free to call Arizona Hot Air Balloons to book your birthday hot air balloon ride in AZ. We look forward to exceeding your expectations on this very special occasion. You can also visit the Phoenix Balloon Ride Inquiry page, and that will initiate contact so we can answer any questions or special requests you might have!